Fake seizures scare from FDA.. The FDA, led by outgoing commissioner Scott Gottlieb, has cooked up a new health scare to persuade smokers to keep smoking. According to a recent statement the agency is investigating a possible link between vaping and smoking – but their “evidence” is statistically insignificant. Meanwhile Hawaii legislators have delayed a flavour ban, asking for more evidence it will actually achieve something – a rare step in tobacco control. 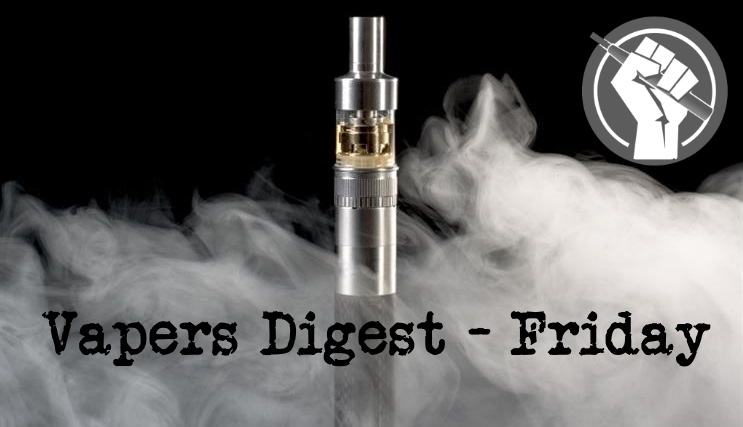 Indian vapers are still threatened by new regulations, though, and Alabama has tacked flavour restrictions onto an age limit bill. Knowledge Action Change’s (KAC) commissioned the “No Fire, No Smoke – Global State of Tobacco Harm Reduction” report, launched in the UK last year. The work was supported by the Foundation for a Smoke Free World. The launch in Nigeria has been met with criticism from people who appear not to have read it. The UK launch of “No Fire, No Smoke” took place at the Houses of Parliament, last December. The full report runs to 128 pages and is the first time the global, regional and national availability and use of safer nicotine products, the regulatory responses to these products, and the public health potential of tobacco harm reduction have all been mapped. In India, a leaked government document from India’s trade ministry shows it knows that calls for a full government ban on vape products has no legal support. The memo details how preventing the import of vaping kit runs contrary to the World Trade Organization the nation signed up to. Does nicotine protect against Parkinson’s? The majority of Parkinson’s cases are in North America. In Asia, on the other hand, it’s much less common. Researchers are looking for ways to control the disease and are coming up with unusual results. “It really seems that nicotine protects against Parkinson’s,” Daniela Berg, head of the Clinic for Neurology in Kiel, told DW. “Nicotine does not only refer to smoking itself, passive smoking is just as much a part of it as tobacco chewing,” Berg explained. Why Are Lawmakers More Concerned..
Why are lawmakers working so feverishly to limit their access to tobacco harm reduction products like e-cigarettes? The hypocrisy is seemingly endless. Attorney General Maura Healey called Wednesday for banning flavored vaping products and taxing e-cigarettes to crack down on unsafe teen smoking habits in a speech before the New England Council. “The reason I’m raising this is because this is a really big deal right now in schools and for parents around the state,” said Healey, as she joined local business leaders to talk about the work of her office. “I think it’s important that we update our law to address and try to curb this epidemic.”. Now, in early 2019, a new Wisconsin governor has proposed a massive tax on vape products. If the tax is implemented, it will almost certainly decimate the state’s burgeoning retail vape industry. Vaping is rapidly becoming a victim of polyphony. This is where the choice of what suits the ‘political narrative’ becomes clear. The problem is that if it is stated often enough, people begin to believe it is a rule. But scientific facts around vaping stand to the contrary. An executive agency of the Department of Health and Social Care in the United Kingdom, Public Health England (PHE), in its reports of 2015 and 2018 firmly declared that vaping is 95 per cent safer than smoking and as such encouraged it as a harm reduction product for smokers, who cannot or find it difficult to quit smoking tobacco. Health advocates have urged the government to regulate the use of e-cigarettes to prevent non-smokers, particularly young ones, from taking up the habit. Vaping — smoking battery-powered e-cigarettes — has been widely endorsed as an alternative to smoking tobacco cigarettes with claims that it produces no hazardous carbon monoxide and tar, unlike conventional smoking. However, a number of health advocates have argued that vaping is not without harm. They pointed out that vaping, which converts liquid into mist, has users inhaling vegetable glycerin, propylene glycol, flavoring, coloring and nicotine. We are pleased to announce the programme and speakers for the fifth Global Forum on Nicotine. This is the biggest programme to date: there are over 60 speakers from 17 countries. A recent study published in the Internal Medicine Journal of the Royal Australian College of Physicians, reviews the latest scientific evidence on e-cigarettes, and concludes that since the devices are proven to be effective smoking cessation aids, doctors should be recommending them to smokers who are struggling to quit.